Though medical alert systems may not seem expensive, monthly monitoring costs can quickly add up and become a financial burden. 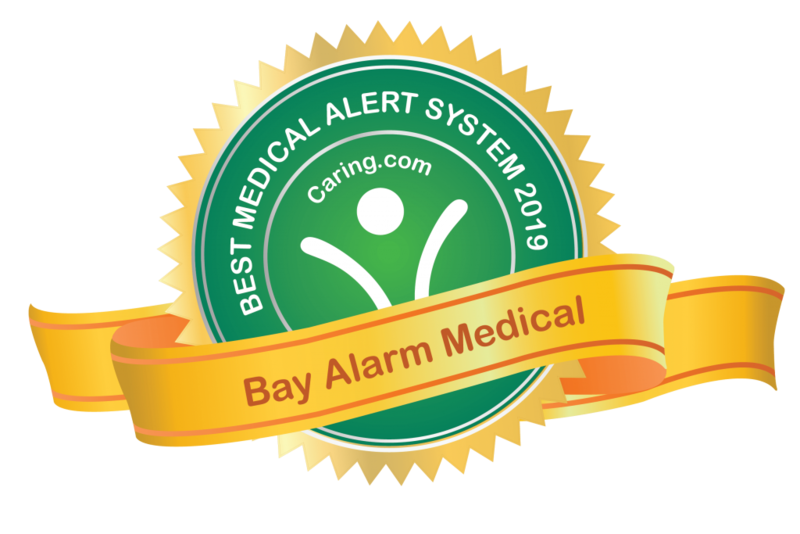 Bay Alarm Medical keeps prices low while providing high-quality systems for both in-home protection and on-the-go coverage. Their in-home landline system costs just $19.95 a month, while many competitors’ comparable systems are closer to $29.95 a month. Their mobile device is also less expensive than many other options on the market. Though the savings may seem small on a month-to-month basis, they add up over the course of the year – a system from Bay Alarm Medical can save customers over $120 each year in monitoring costs. Plus, there are no device, activation, or installation fees. Bay Alarm Medical’s five medical alert systems are a good option for those looking for high-quality, reliable protection without exhausting their budget. Bay Alarm Medical offers two in-home devices, one that requires a landline connection and one that uses a cellular connection. The landline system is the least expensive Bay Alarm Medical device at $19.95 a month. The cellular system costs an additional $10 a month, bringing the monthly cost to $29.95. Fall detection is not included with either system, but can be added to one’s service plan for $10 a month. The two in-home systems are exactly the same, other than the connection type. Both systems include a base station with a range of 1,000 feet and a 32-hour backup battery, and one personal help button. The personal help button is completely waterproof, and may be worn around the neck or on a wristband. On-the-Go, a portable system, costs $29.95 a month. The cost is the same for the monthly and semi-annual payment plans. Fall detection is available for an additional $10 a month. On-the-Go is an all-in-one portable device with a built-in two-way speaker and personal help button. It uses 4G-LTE cellular service to connect to the monitoring center, and includes GPS location tracking. The device can be worn around the neck, or on a belt clip. On-the-Go has a battery life of up to 72 hours between charges, and is waterproof so it can get wet in the rain and be worn in the shower. On the Road costs $29.95 a month with a monthly or semi-annual payment plan if users only want this in-car device. For customers who have another Bay Alarm Medical device, On the Road can be added to any other service plan for $20 a month. Fall detection is not available for this device, but it does come with automatic crash detection included in the monthly price. This unique device is specifically designed for in-car use – it cannot be used as a standard mobile device. On the Road plugs into a car’s cigarette lighter, so it does not require charging. Like other medical alert devices, On the Road has a personal help button for users to contact the emergency monitoring center after an accident. It also has automatic crash detection, which is designed to automatically signal the emergency monitoring center if a car accident occurs. On the Road uses GPS location tracking so emergency services and caregivers can quickly locate drivers. 360 Protection is a bundle package that includes an in-home system, On the Go, and On the Road for a cheaper monthly rate than if you purchased each plan individually. 360 Protection costs $59.95 a month and is the same for monthl and semi-annual payment plans. Those who want a cellular in-home system or fall detection will have to pay an additional $10 a month for either one, or an extra $20 for both. Bay Alarm Medical does not charge any device, activation, or installation fees. The only one-time fee that customers must pay is shipping, which costs $9.95. Those who choose the semi-annual payment option receive free shipping; there are no other discounts for quarterly or semi-annual payments. There are no long-term contracts required, and customers may cancel their service at any time. There is also a 30 day trial period during which users may return their device for a full refund. Bay Alarm Medical partners with a completely U.S.-based monitoring company with call centers in Idaho and Utah. Both of the centers are UL-listed and CSAA Five Diamond Certified. According to the Bay Alarm Medical website, emergency calls are answered in 45 seconds or less. Upon signing up for Bay Alarm Medical monitoring service, users will provide contact information for caregivers, family, or friends. When users call the monitoring center, operators will ask if they should call the user’s listed contacts or emergency services. If the caller is unable to respond, emergency services will be dispatched automatically. The Caregiver Tracking portal allows caregivers or loved ones of users to view the user’s location on a map. Caregivers can also use this platform to set up geofencing, which automatically sends notifications via SMS or email if the user leaves a designated area. Access to Caregiver Tracking costs an additional $5.00 a month. The Bay Alarm Medical Mobile App is included free with all devices. The app is designed for caregivers and loved ones of Bay Alarm Medical users. It allows caregivers to view and update information such as emergency contacts, medical history, or a lockbox code. It also shows account stats and history, including if and when the user pressed their personal help button and if emergency services were dispatched, and device battery level. Wall Buttons: Wall buttons can be placed anywhere in the home, and provide an extra layer of protection in high-risk areas. Like personal help buttons, pressing a wall button will signal a call to the emergency monitoring center. Wall buttons cost $2.95 a month each, or $10 a month for a pack of four. Additional Help Button: Users can add a second personal help button to their monthly plan for $1.95 a month. The extra button may be used by a user’s spouse or another family member who lives in the same home. Lockbox: Users can store a spare key to their home in a lockbox, which makes it easy for EMS to enter the home during an emergency. Lockboxes cost $1.95 a month. Bay Alarm Medical is the only medical alert company to offer a device specifically for in-car use. On the Road provides protection for drivers in various scenarios, such as if they need assistance after an accident, if there is a problem with their car, if they are experiencing a medical emergency while driving, or if they get lost. Caregivers and loved ones of On the Road users can also view the car’s location on an app, providing peace of mind and helping prevent drivers from becoming lost. For $1.95 a month, Bay Alarm Medical users can add an extra help button to their in-home coverage. The button may be used by an existing user’s spouse or a family member who lives in the same home. This allows two users to receive coverage under one plan (for the same price as one person), and can save families a significant amount of money over the course of a year. Both in-home and mobile devices from Bay Alarm Medical are priced much lower than many comparable devices from other companies. In addition to keeping monitoring costs low, Bay Alarm Medical does not charge any startup fees. Customers who want to keep their monthly costs low will find that Bay Alarm Medical provides a high-quality product for a much lower price than many of its competitors.